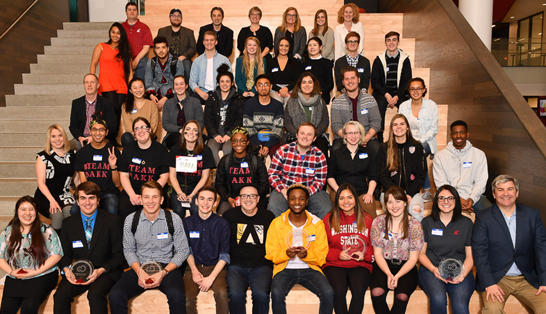 The Adobe Creative Jam @ WSU Pullman was an exhilarating fusion of community, teamwork and interdisciplinary learning! 142 people pre-registered and another 45 registered at the event. 16 Murrow students, including three of MIC interns, participated in the event along 17 other students from five colleges. Three Murrow students covered the event on social media and provided video coverage including Facebook live segments. The event was also covered by student reporters from Cable 8 and KUGR. Check out the Snapshot Gallery from the event and all of the Jam Submissions from the student teams!